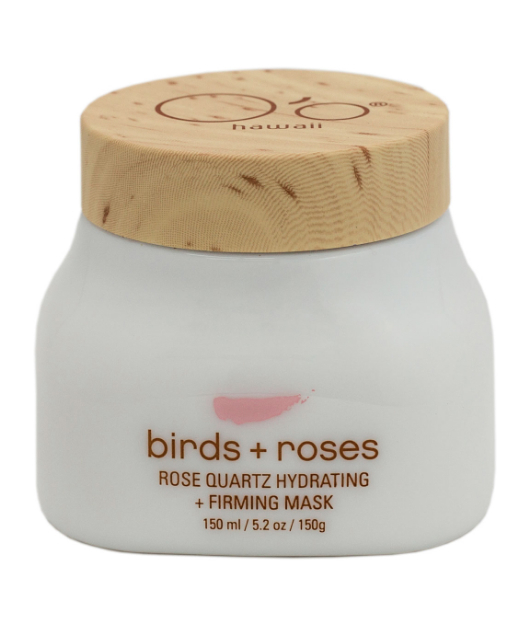 O'o Hawaii Birds & Roses Rose Quartz Hydrating + Firming Mask, $130 This pink mask makes skin glow like you just returned from vacation. It's infused with rose quartz crystals, sodium hyaluronate and a wealth of ingredients straight from Hawaii (kukui nut oil, giant kelp, coffeeberry extract, red algae, strawberry guava and noni fruit). Wear the soothing mask for 10 minutes and enjoy plump, firm and radiant results. That time will fly by as you enjoy the rose-geranium scent — it even dries down to the comfiest finish.